I’ve heard a couple of the most respected shooters in the world recommend the first step to make a rifle more accurate should be upgrading the trigger and after that upgrade the barrel. In fact, this week I read an interview with Daniel Horner, a guy who was on the Army Marksmanship Unit forever and won the national 3 gun championship many times. He was asked, “What’s the first modification that you’d make on any platform?” and he said “The trigger, without a doubt. Gotta have a good trigger.” The barrel has a more direct/mechanical influence on precision, but they suggest the trigger first because the trigger has such a dramatic influence on your ability to shoot a rifle accurately. You’ll never get the best precision out of a rifle with a heavy, inconsistent trigger. Considering what other upgrades cost, like a chambered, match-grade barrel might cost $750, a tactical stock/chassis might be $1,000, an action $1,250, and a scope $2,000+, even the most expensive triggers are a fraction of those costs (typically $200-300). 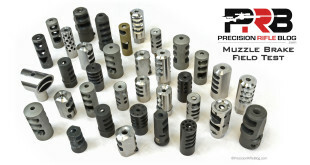 So an investment in a quality trigger might provide more bang for your buck than any other part of your rifle. The amount of aftermarket accessories for AR-15’s is staggering, and the equivalent in bolt-action rifle world is the Remington 700 action. With over 6 million of them in circulation, the Rem 700 is by far the most popular platform. Most of the top long range competitors are running custom actions that are “Remington 700 clones,” (see the data about what actions they’re using) meaning they share similar dimensions and some basic design specs, but are built with extreme precision. One of the benefits of going with a custom action that is a Remington 700 clone is you can take advantage of the huge selection of aftermarket upgrades and accessories. Similar to an AR-15, many parts are interchangeable and on the Rem 700 that usually includes rifle stocks/chassis … and triggers! There are more high-end triggers to choose from for Remington 700 based actions than any other platform – by a long shot! In fact, 95% of the triggers used by the top shooters I’ll cover in this post are aftermarket Remington triggers. That doesn’t mean the Remington trigger design is the best, or that it doesn’t have inherent issues aftermarket manufacturers have to try to overcome. Some proprietary platforms arguably have trigger designs that are inherently better. However, proprietary rifle platforms like the Ruger Precision Rifle, Accuracy International, Tikka, Desert Tech and others simply don’t have anywhere near as many options for aftermarket triggers. While there may be unique advantages to those other platforms, trigger selection is not one of them. Of course you don’t need a ton of options, as long as there is one that meets your needs. My point isn’t to start an argument on what is the “right” choice (decide for yourself! ), but simply to present a balanced view of the pros and cons of building on a Rem 700 platform, since that decision will largely determine your trigger options. Let’s start by looking at the trigger pull weight these guys prefer. I’m not sure data like this has ever been published, so I thought it’d be interesting to see and helpful for manufacturers. 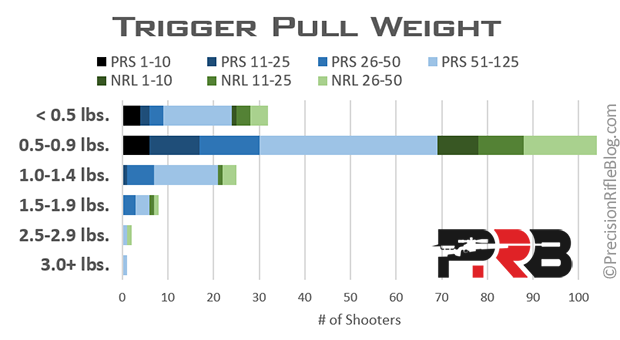 60% of the shooters prefer to run their triggers between 0.5-0.9 pounds (8 to 15 ounces), including most of the guys in the top 10 in both leagues. I’ve been running my triggers between 10 to 12 ounces for a few years, so that resonates with me. In long range competitions we require a high level of precision, so we can’t use triggers that are so heavy that the squeeze could pull us off target. Also, there are times we shoot from an improvised position and our wobble is larger than the target, which just means we can’t get steady enough to keep the reticle from wandering on and off the target. However, you might be surprised how often you can still hit targets in those scenarios, if you learn to time when your trigger breaks – but you’ll need a consistent trigger that is light/crisp to even have a chance. At the same time, we’re shooting from improvised positions in field conditions, not on a square range from a bench or a single prone position. We take safety precautions, like ensuring the bolt is open when we move positions, but running a 1 ounce Benchrest trigger still may not be wise. Clearly most of these top riflemen believe a trigger set to 8 to 15 ounces is the right balance for long range rifle competitions. 19% of these shooters were running at 7 ounces or less, including 4 of the top 10 PRS shooters – so I don’t want to make that sound like that is unsafe or not a good idea. Quality triggers with lighter pull weights can still be safe if you’re disciplined to never “sky load” (meaning you closed the bolt before you see the target in your scope, which will get you disqualified at some matches) and don’t put your finger near the trigger until you’re ready to fire. But those are good habits even if you’re using a 7 pound trigger! If you get in an awkward shooting position, you just may have to be a bit more mindful with a really light trigger once you close the bolt. A two stage trigger might be a good option to consider when running really light, because even if it is light it requires more movement before the trigger breaks, which can be an added safety precaution. 15% of these shooters were running 1.0-1.4 pounds (16 to 23 ounces), but just 6% of these guys were had trigger pull weights set to 1.5 pounds or more. While many might use a pull weight of 1.5-2.5 pounds for a hunting rifle, these top shooters clearly believe the best precision comes from a lighter trigger. It’s clear that TriggerTech has taken a commanding lead in this space, and Bix’n Andy has also made significant strides in popularity as well. Let’s dive into a few of those top brands and I’ll try to highlight some features that make them so compelling. I don’t believe I’ve ever seen a product take the market by storm like the TriggerTech Diamond trigger, which represented 48% of these top competitors. 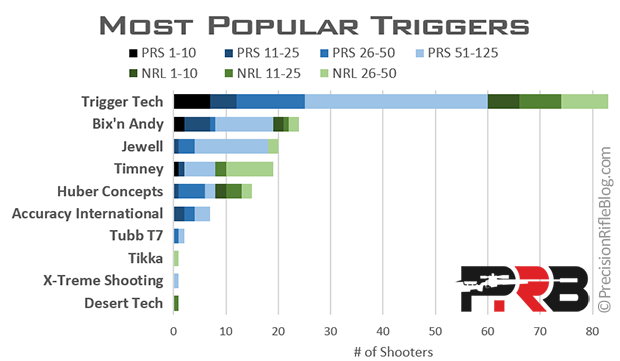 The last time I wrote about the triggers the top shooters were running was in 2015, and there wasn’t a single shooter using a Trigger Tech trigger (see 2015 data)! At that time, almost 50% of the shooters were running a Jewell trigger. But about 14 months ago, Trigger Tech released their new Rem 700 Diamond Trigger. 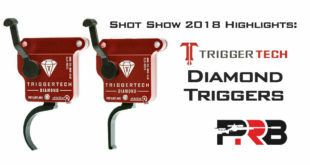 After seeing a ton of new products at SHOT Show 2018, I wrote a post saying “The biggest standout product for me for SHOT Show 2018 was the new TriggerTech Diamond trigger.” I went on to share this: “What will probably cut to the chase is the fact that I stopped walking around SHOT and ordered two Diamond triggers online for my match rifles [full retail off their website]. Admittedly, I like to tinker, and right now I own 5 Jewell triggers, 2 Timney, 2 Bix’n Andy, as well as the original TriggerTech trigger … but these new TriggerTech Diamonds will be going on both my match rifles as soon as they arrive.” And they did! Prior to the release of the Diamond trigger in November 2017, TriggerTech made a great trigger, but just didn’t have a model that could be adjusted down as light as these guys prefer. Their original bolt-action trigger (now called the TriggerTech Rem 700 Primary Trigger) had an extremely crisp break, and started off priced at under $100! I remember a friend who was a gunsmith at a major rifle company called me the week he felt the new TriggerTech trigger, and he was pretty excited about it. I remember him telling me it had “absolutely no creep.” He thought it’d be a big hit, but that original trigger was only adjustable down to 1.5 pounds and we saw that 94% of these shooters prefer something lighter than that. 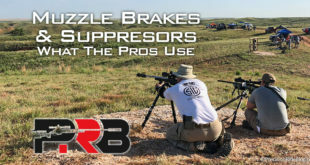 In November 2016, they released the TriggerTech Rem 700 Special Trigger, which was adjustable down to 1.0 pounds, which was a step in the right direction. I noticed a few high-end rifle builders started using those as their base option for custom builds, and for good reason … but 79% of these guys still prefer to run triggers under 1 pound, so it still didn’t have wide acceptance among this crowd. In 2017 the TriggerTech team started working on the new Diamond trigger, and solicited feedback from top shooters like Matthew Brousseau, Bradley and Christine Allen, and the rest of the K&M shooting team. They put the new trigger through the paces through matches during the second half of the 2017 season. By the time the 2017 PRS Finale came around at the end of the year, 7 out of the top 10 shooters were already using the Diamond trigger! In 2018, 7 out of the top 10 shooters in the PRS were running a Diamond, as well as 6 out of the top 10 in the NRL. That means 65% among those in the top 10 chose to run a Diamond, which is a huge vote of confidence! So what makes the TriggerTech so special? The traditional bolt-action trigger, like the stock Remington 700 or Jewell, uses a sliding friction design. The surface of the trigger and sear slide against each other until the sear clears the trigger and that’s when the trigger “breaks” and the firing pin is released. The TriggerTech design features a roller pin between the sear and the trigger, which improves both feel and safety of the trigger. To learn more about why that’s the case, read more here (scroll to “Why It Works”). 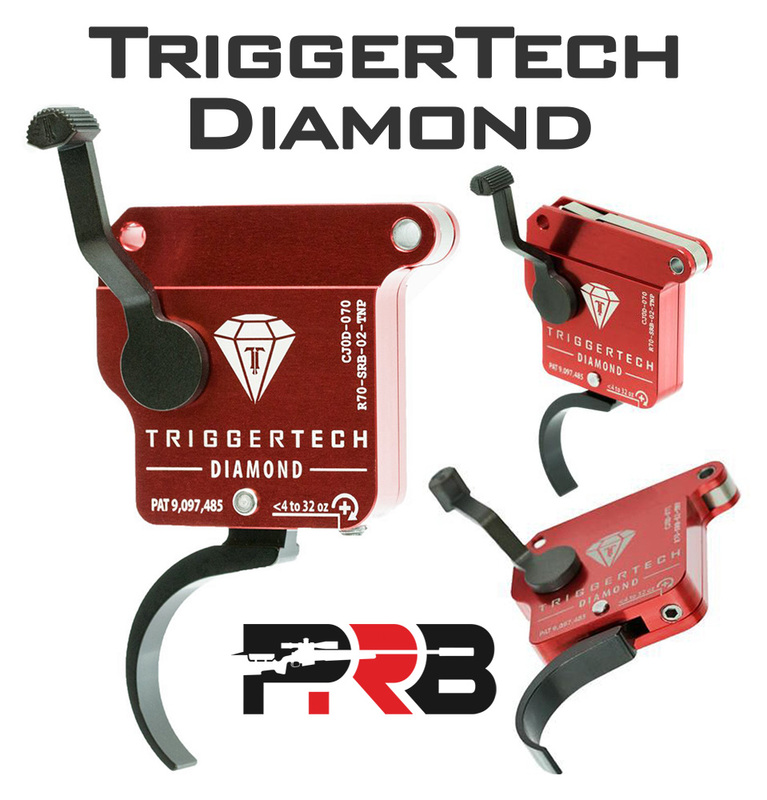 And because we all seem to be very picky people 😉 , TriggerTech offers the Diamond trigger with three options for the trigger shoe (shown below). The Pro Curved is probably the favorite among this crowd, although I love the Flat Straight trigger. This part really just comes down to personal preference. It turns out the roller pin design is less apt to fail from dust getting in the trigger housing. In fact, if that happens, the inherent motion of the internal parts actually clears it out naturally. And I’m not just making that up. Tests were performed by impregnating a few different brands of triggers with “fine Arizona dust” (commonly used in clinical trials), and the TriggerTech was the only one that passed with flying colors. (Read about those tests at the bottom of this article). TriggerTech is so confident that their triggers will perform even in the harshest environments that they give a spare “match saver” Diamond trigger to each of their sponsored shooters, which would be made available to any shooter who has a trigger go down during a match. They don’t want any shooter to have trigger problems on the range … and they’re probably betting after you experience their product you’ll become another one of their raving fans. In 2015 when I published data on what triggers the top shooters were running, there was only one shooter out of the 100 surveyed that was using a Bix’n Andy trigger. So they jumped from just 1% in 2015 up to 14% this year, which is a huge increase! This was primarily because in 2015 Bix’n Andy really only had a Benchrest trigger that was adjustable down to weights these guys prefer to run. That trigger was adjustable down to 1 ounce, and the consistency of the force required to break the trigger shot-to-shot was +/- 0.03 ounces! 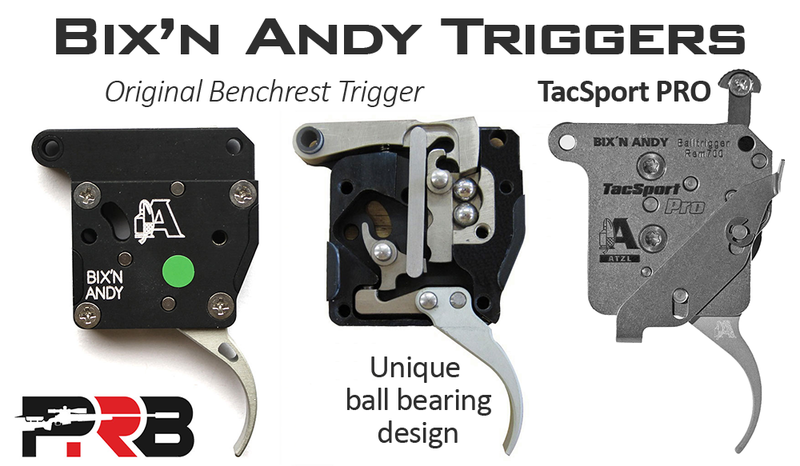 The Bix’n Andy trigger design was also a departure from traditional sliding friction designs, and was actually based on a unique system of ball bearings. 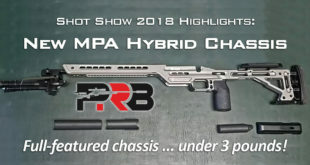 The one top PRS shooter in 2015 was using that Bix’n Andy Benchrest trigger, but he just had to be very careful to keep it clean or it could lock up. 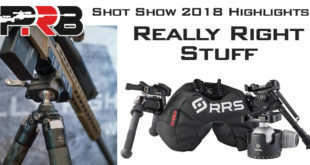 At SHOT Show 2018, I talked to Chris Harris for a couple of hours about triggers. 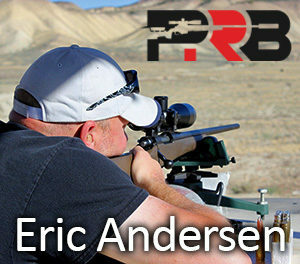 Chris is a world-class Benchrest shooter and the U.S. distributor for Bix’n Andy (runs BulletCentral.com). Over the course of a few hours, Chris gave me quite the education on triggers! It was honestly one of my favorite conversations of the whole year. 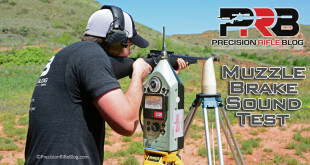 I had already purchased a Bix’n Andy Benchrest trigger to try, but Chris warned me that he wouldn’t use it for this type of field shooting, because it was never intended for that application. Bix’n Andy offered a TacSport trigger at the time, but I believe it was only adjustable down to around 1 pound at that point. However, Chris did tell me about a brand new trigger design they were working on, and I could feel his excitement about it. 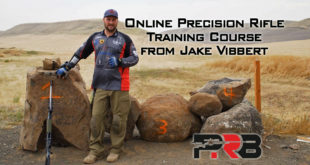 He thought that new trigger would be absolutely perfect for these types of precision field competitions, because it had the ruggedness of their current TacSport but was adjustable to a much lighter pull weights. 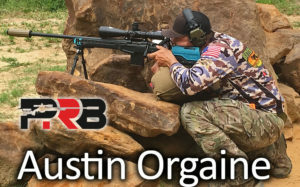 I noticed one of the shooters running the Bix’n Andy trigger was Austin Orgaine, who placed 2nd overall in the PRS and 3rd overall in the NRL – yeah, he’s a ridiculously good shooter! I asked Austin about his trigger, and he said he originally ran the Bix’n Andy Benchrest triggers and they felt amazing, but they’d eventually get dirty and start hanging up. When the TacSport PRO was released he thought he’d give it a shot since it was supposed to be more suited for field-type matches. Austin told me his TacSport PRO triggers “have a very crisp break like the Benchrest trigger does, and so far I haven’t had a failure.” Austin is truly a world-class shooter and I have a lot of respect for his opinion, so it was good to get his first-hand account. Matthew Brousseau, the shooter who was the overall PRS Champion two years in a row, was also running a Bix’n Andy trigger. So clearly some of the shooters at the very top of this sport have confidence in this product. And once again, because we seem to be a picky group, they offer four trigger shoes to pick from. The Smooth Curved shoe is what comes on their Benchrest model, and it is fairly wide and a favorite of many shooters. I remember when I first used it on the Benchrest trigger, it was super comfortable compared to the thin blade Jewell’s I’d been running for so long. I’m typically a fan of flat/straight triggers, so I might like the 90° shoe. Austin mentioned that he really liked the Gator Grip trigger shoe. He said “controlling trigger pressure seems to be easier with the gator grip shoe. You can really tell how much pressure you are pressing with on the reduced surface area, but it’s still a nice wide shoe.” The great thing about the Bix’n Andy approach is that you can replace the trigger shoe and they’re priced at around $30 each, which means you can try a couple to see what you like best. Q: If you could give a new shooter one piece of advice, what would it be? The Jewell trigger was considered the “gold standard” for decades. The patent for the trigger design dates back to 1985, and it was the go-to trigger for most high-end precision rifles since that time. In 2015, I surveyed the top 100 PRS shooters and 40% of them were using a Jewell trigger, which was not just the most popular, it was more than double any other brand! (see the data). But this year’s data showed that only 12% of these top shooters were running a Jewell. This substantial drop in Jewell’s popularity may be one of the biggest surprises from this year’s survey results. The Jewell trigger design was revolutionary because it allowed minimum load at the sear engagement point while still providing maximum adjustability in pull force, sear engagement, and overtravel – all without removing the action from the stock or the trigger from the action. Jewell offers a BR model that is popular in the Benchrest world, and a HVR model that is popular in tactical competition rifles, high-end hunting rifles, and other applications. The BR trigger doesn’t have a safety and is only adjustable from 1.5 to 3 ounces (so none of these guys use that one), but the Jewell HVR trigger has a safety and the pull weight can be adjusted from 1.5 ounces to 3.5 pounds! That is still a massive range, even compared to the other, newer trigger designs on this list, which allowed the Jewell to be used for a variety of applications. 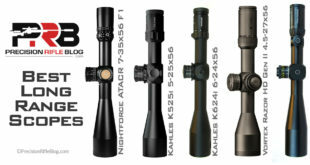 With all the advancement that has happened around precision rifles in the past 20 years, it is incredibly impressive to see a product designed in 1985 that is still represented in significant numbers among those at the pinnacle of the sport. That is 33 years – think about that! What else is this sport has been around that long?! It’s unlikely any of these other triggers will stand the test of time like the Jewell has for so long. 11% of these top shooters were using a Timney Trigger. Timney offers a wider variety of triggers than any other manufacturer, from the popular AR-15 drop-in trigger upgrades to a 2-stage trigger upgrade for the Ruger Precision Rifle to an upgrade for the Browning X-Bolt hunting rifle, and countless other options. All Timney triggers allow you to adjust the sear engagement, pull weight, and overtravel. The classic Timney 510 at $150 is one of the most capable and budget-friendly trigger upgrades for the Remington 700, but that trigger is only adjustable down to a 1.5 pound pull weight. 95% of these top shooters using Timney triggers were running pull weights below that, which means they must have been running Timney’s flagship trigger: the Timney Calvin Elite. The Timney Calvin Elite trigger was released a few years ago and is adjustable from 8 ounces to 2.5 pounds. It’s named after Timney’s legendary designer, Calvin Motley. This is a spare-no-expense design they created to be robust, but still delicate enough to be set with a pull weight as low as 8 ounces. It is available in both single stage and two stage versions. Timney has a newer “custom” model of the Calvin Elite Trigger, which comes with four different shoes, including curved, flat, heeled, and knurled. The shoes are adjustable for length of pull, cast, and height for the ultimate in comfort, positive contact, and control. Huber Concepts triggers were used by 9% of these top shooters, which was a slight increase from the last time I published data on triggers these guys were running. 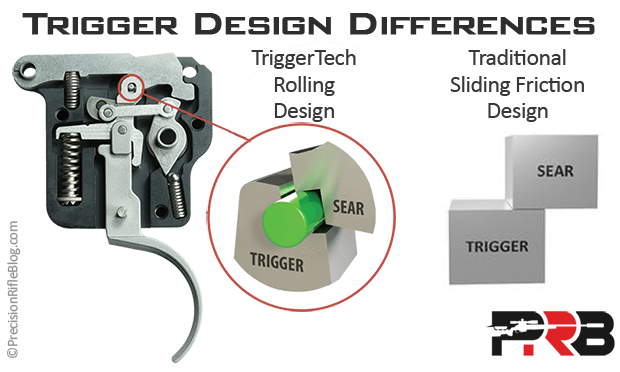 Huber Concepts trigger is also based on a patented ball bearing system. They make several models of triggers, including both single stage and two stage models, but the Huber Remington 700 Two Stage Trigger seems to be especially popular among precision riflemen. Huber has an in-depth approach to trigger design and theory, including the physics and timing, and their trigger design appears to have some novel concepts. 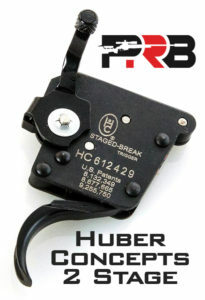 Here is a link to a video providing a detailed overview of the Huber 2 stage trigger. There were 4% of these shooters using an Accuracy International trigger. The AI trigger is not a Remington 700 based trigger, which means they aren’t constrained by that design. For example, the safety mechanism in the Remington trigger resides in the trigger itself, but in an AI rifle the safety is in the bolt and works by disengaging the firing pin from the trigger mechanism, which seems like a more robust and fault-proof design (watch how it works). But that does mean the trigger is proprietary to Accuracy International, so if you are running one of their actions you will also need to run one of their triggers. 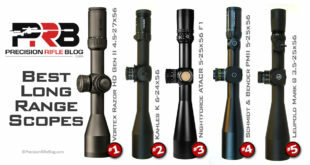 Their rifles are primarily built for extremely rugged, military applications, but while the stock trigger is still a precision trigger, some of the design decisions were different from if the trigger was purely optimized for competition use. For example, the stock AI trigger is only adjustable from 3.3 to 4.4 pounds (1.5 kg to 2.0 kg), and there was only 1 out of the 173 shooters surveyed that said they were running a trigger pull weight above 3 pounds … so it’s not something these shooters see as ideal. But in 2018, Accuracy International released their new AI Competition Trigger, which was designed in conjunction with X-TREME Shooting Products, a company known in the realm of competition shooting. According to AI, this new trigger was developed to meet the demand for an AI-compatible, competition-grade trigger for Accuracy International owners in the United States. 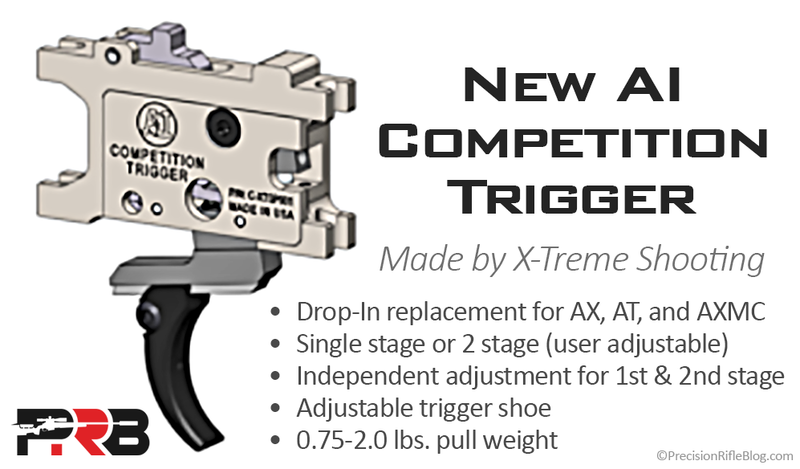 The new AI Competition Trigger is a drop-in replacement for the AT, AX308, and AXMC rifle platforms. On those platforms you can simply reuse the trigger shoe from the stock trigger on the new drop-in trigger. There is also an optional trigger shoe that will allow make it compatible on the AW and AWM platforms. The Competition Trigger features a precise trigger pull range of 0.75 to 2.0 pounds. One of the unique features on the trigger is the user can adjust it to be a single stage OR a two stage trigger. When in two stage mode, you can adjust the 1st and 2nd stage independently. AI reports that this design was test cycled over 100,000 times and showed no significant wear, whereas some of the market’s most popular other competition triggers showed “measureable wear” after 5,000 cycles. It’s cool to see a manufacturer who went the proprietary platform route to come out with their own competition-grade trigger upgrade. It shows that they’re paying attention to these customers and trying to cater to their needs, and not just the military customers with the big contracts. 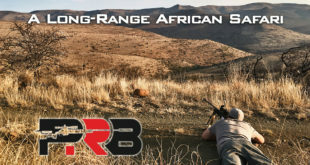 The trigger is one of the most important parts of the rifle, and clearly the guys at Accuracy International recognize that and want to ensure their rifle platform continues to be competitive at the highest levels. Out of the 173 shooters surveyed, there were only 5 that weren’t running one of the triggers above, but that doesn’t mean there aren’t other good options out there for a precision rifle trigger. Other triggers used by 1 or 2 shooters among this group were the Tubb T7 Trigger, X-Treme Shooting trigger, the stock trigger from Desert Tech, and a stock trigger from Tikka. What I would love to see is animations on how each trigger design works, especial the Bix and Huber. Both those guys sites really spew near-metaphysical lingo about their mechanics, with precious little for a non-engineer to grab onto. TT Diamonds trigger is a little easier to understand but I’d still like an animation from the manufacturer or somebody. I absolutely agree! That would be really nice. Honestly, it’s pretty hard to understand without a good animation. Most manufacturers try to protect the design specifics for some reason, but the patents describe the mechanics in-depth, and have diagrams of the internals. But a good animation would help us all understand them at a glance. Cal, Maybe I missed it but you make no mention of these light triggers passing drop tests or not. I think that many of them would not pass the test, and this is an accident waiting to happen, IMO. Good point, Sam, but I didn’t mention it because that data is not out there, at least not that I’m aware of. You might be right about some of them not passing, but I’m not sure all of them would. You never know until you try. I bet all the 2 stage triggers would pass, and I’d be surprised if a few of the others failed … but you never know until you actually test it. If you know of someone who has done that, please let me know. What’s strange is that if someone wanted to copy a trigger, they could just buy the trigger and open it up to see how it works. I mean, a simple animation only helps sell the trigger! I’m not asking for a $$$$ Autocad animation (like car manufacturers use) that models every conceivable factor. Or, you could just read about “higher order mathematics” and “stacking time” (Huber) or “effective properties of offset superimposed balls are used” (Bix). Sheesh. I 100% agree, on both counts. It reminds me of that quote, “If you can’t explain it to an eight year old, you don’t really understand it yourself.” Sometimes I think using $100 words like that is a marketing strategy to sound really smart and hope people just gloss over it. A really sharp person would be able to explain it without all the technical jargon. But then again, an animation would cut through all of that. Hint, hint … to all manufacturers! Interesting data, insight and surmising as ever. Thank you! Is there any data on the preference of single stage versus two stage triggers used by shooters? Some brands ONLY offer single stage, but several of the others offer both. I suspect the underlying preference can’t be quantified – it’s like marmite, you either love it or hate it, but it would be interesting to know the numbers. The overwhelming majority run single stage triggers, but some prefer a two stage. Since single stage is far more common, we’re probably all somewhat biased towards them. If everyone tried out both a single stage and two stage for 500 rounds or so with an open mind, there might be more running two stage triggers. Ultimately, it just comes down to personal preference. I don’t think there is a right or wrong answer. I put a Timney trigger in a 6.5 CM Ruger Amer. Predator and it was worth every penny. A Boyd’s Classic laminated stock completed the quality upgrade. Then I sold the RAP and bought a Browning X-Bolt Pro, Browning’s “semi-custom” rifle with lots of goodies including a carbon fiber wrapped stock and a factory lapped barrel. The X-bolt trigger was very good once I got it to its lowest adjustment of 2 lbs. 14 oz. Virtually the same single stage feel as the Timney trigger. I won’t be selling the X-Bolt Pro anytime soon as it is everything i want in a mountain rifle including 1/2 MOA accuracy with Hornady 140 gr. ELD-M ammo. My point about these two rifles is that my time in long range competition has taught me the value of a good trigger on hunting rifles as well as my competition rifle. You bet! Thanks for sharing that. I really do think Timney is unrivaled when it comes to both value and number of rifle platforms they offer a trigger upgrade for. They give you a lot of bang for your buck. And that’s awesome to hear about the precision on that Browning X-Bolt Pro. You’re not the first guy I’ve heard that was completely satisfied with the precision they got from a Browning hunting rifle right out of the box. Sounds like you’ve got a shooter! A 6.5 Creedmoor is such a great hunting round for a lightweight mountain rifle, too. Why does opening up a Trigger Tech trigger void the warranty? I don’t buy into the “because you don’t have to clean it” mantra I’ve heard from a couple of shooters. Maybe it’s not as susceptible to dust like a Jewell, but most people know that simply squirting Ronsonol into the trigger to clean it is just moving some of the particles to another part of the trigger. I’d love to get a TT, I like them, but this is something will continue to hold me back from purchasing one. That’s a great question, Jeremy. Honestly, I didn’t think of that until Chris Harris said this about the Bix’n Andy trigger: “It’s a tough trigger and still extremely crisp with sear options, trigger shoe options, and ability to open it up and maintain. There is nothing like it in the market.” I thought, well the Diamond has all that … except the ability to open it up. I tried to put myself in TriggerTech’s shoes and think of a good reason why they might do that. Perhaps it’s that the housing is somehow retaining some small parts or springs that would be difficult to repack correctly, or maybe there are really small or specialized parts that require very specialized tools that an end-user wouldn’t have. I don’t think it’s to “protect their intellectual property,” because you can read about the core/novel part of their trigger design in the TriggerTech patent (Patent 9,097,485), which includes diagrams and a description of the basic function. They also have a pretty detailed “How It Works” page on their website. And don’t be too skeptical! I think there is something unique about the action and motion of the “captured roller” that would help keep the area around the sear clear of dust/grit. You should read about that Arizona dust test in that other post I wrote about the TriggerTech Diamond. There seems to be lots of people convinced that they are more robust and reliable than other trigger designs. It’s not just me saying that, although I actually do believe it personally as well. I’d love to put all these triggers to the test one day to really quantify this stuff in an independent way, but for now I’d just say they’ve functioned flawlessly for me. Honestly, I’ve never felt the need to open it up, which means the trigger is doing it’s job. I’d prefer to never open it up and it just continue to work. The Bix’n Andy Benchrest triggers and Jewell triggers I own have had to be opened up and cleaned, but not the TriggerTech. I understand your point, but I’d just ask how big of a deal is that really? Ultimately, it’s your call. Whether you buy one or not has no impact on my happiness. 😉 But you may just be denying yourself the pleasure of using one for something that really isn’t an issue. They do have a 30 day satisfaction guarantee, so if you buy one and after using it you still can’t get over the fact that you can’t open it up … send it back! Just a thought. Do you all offer triggers for a Savage 110 6.5 Creedmoor Long Range Hunter! 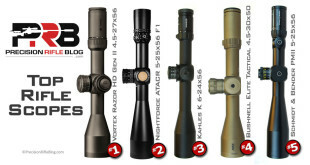 Gordon, I don’t sell anything … I just write about precision rifles and related gear. 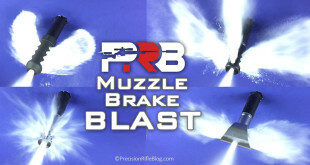 I’m not sure if there is an aftermarket trigger for that or not. Hey Cal, thank you so much for the work you put into this sport for all of us to learn and grow. I’m curious if you are hearing anyone talking about or using the Geissele Super 700 triggers yet? What kind of feedback may be coming on those? Thanks, Benjamin. I appreciate the encouragement! Wish I could be more help. If anyone reading this has some insight into why guys aren’t running the Geissele Super 700 trigger, please chime in! Cal I’m not a conspiracy theorist on the “intellectual property” part LOL. It could very well be that small pieces could be easily lost during disassembly. Maybe there is some weird Canadian law about being able to tweak your own trigger, now I’m sounding like a conspiracy theorist. With that said, I have actually had friends that have had their Diamonds go down or just not jive with their action. One even broke a top sear in half, due to a pierced primer or three. Which brings up another point about being able to open up your own trigger. If for some reason your top sear is too short or even too tall, they could send you the part or even a set of differing height top Sears to find which one worked for you and your action. Of course by now they may have most of this already recorded and be able to help you from the get go if you order direct. But buying from a retail store is going to get you the standard top sear I assume. No doubt that the Diamonds are highly regarded and rightfully so. I’ve talked to Chris Harris a few times and he was VERY helpful in getting my trigger set up in my action. How helpful, he sent me two Bix’n Andy Competition triggers (pre TacSport days) with different top sear heights to try out when I was having misfires with my CE. And no I am not sponsored in anyway by them, just a customer. On a personal note, I have followed you for years and 2019 will be my third season shooting PRS/NRL type events. You were very instrumental in my decision making for choosing the parts to build my competition rifle. I can’t thank you enough. I even saw you at Heatstroke this year but you looked about as pooped as I was at the end of the second day that I didn’t want to bother you and THANK YOU in person. Maybe I’ll see you at a match this year and shake your hand. Thanks, Jeremy. Makes sense to me. And I get your point, it would be better to be able to open it than it just be a black box. Glad my posts have been helpful for you. And Heatstroke will certainly wipe you out! It is one of my favorite matches, but the name is appropriate. You should still come up and say hi. Maybe we’ll run into each other on the road this year. I bought a Trigger Tech Remington 700 primary trigger, put it on a 6.5 X .284 and really liked it, except I could not get the pull weight that I wanted. To correct the problem, I bought a TriggerTech Diamond Trigger only to find that it came without a bolt stop. I assumed that meant the bolt could be removed without releasing a bolt stop, however, when I called TriggerTech they informed me that with the Diamond Trigger, in order to remove the bolt, you first must remove the trigger. How do the Pros address this problem? They can’t be removing the trigger every time they clean their barrels. BTW, TriggerTech was very nice and gave me a refund on the Diamond Trigger. That’s interesting, John. I guess I hadn’t realized that it doesn’t have the option for Remington style bolt release on the trigger. So most custom actions have a different style of bolt release, so we just take the bolt release off the trigger because it isn’t necessary. A different part controls that. I guess on the Diamond they did away with that option all together, which leaves people using actions that don’t have that feature a little stranded. Their Primary and Special models of triggers look to have a bolt release, but not the Diamond. That’s awesome they gave you a refund though. Hey Cal. This article only confirms what I learned last year when reading about the Diamond trigger on your blog plus speaking to the Trigger Tech people at Dallas. Just waiting for their AR Diamond trigger. Maybe it’s out by now. I have a question for you regarding reloading but couldn’t find anyplace on your page to email you. Hey, Joe. 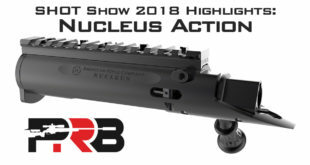 I heard about the AR Diamond at SHOT Show last year, and have been hoping it will be released at some point … but it hasn’t yet. And I have a post coming up on some of the reloading practices of the pros, so maybe hold your reloading question for that post so everyone can benefit from it. I do not know what others have in mind when they want to know how a trigger works. At the fundamental level it is classical physics and mechanical engineering with forces, torques, static and sliding friction with the simplest approximation of every part either a simple spring with a spring constant or a rigid body. At the next level of approximation replace the rigid bodies with elastic bodies. The simplest elastic body requires two elastic constants and and a density for specification. And different components may have different elastic constants and density. There it is, ain’t nothing simple at the fundamental level. Would be interesting to know what approximation was used in the mechanical engineering. Ha! That sounds over my head, Rick. It can get complex, but you can see something in an animation that’d it’d take 1,000 words to describe. I’m just glad I get the benefit from a lot of smart people working on this stuff. I think it’s a no-brainer on which to choose. Even a step-by-step drawing with the moving parts highlighted would be an improvement. – I noticed a copy error in the B&A pdf off of Bullet Central for their 2 stage. I emailed Bullet Central, and Luke Albin responded quickly and said he’d look into it after Shot Show. Since I used a similar screen name for both this forum and my email, Luke connected the dots said after Shot Show he’d try to find his diagrams and videos of how the trigger works. He had a computer go down that contained the files, but he will try to locate a backup. I think Bullet Central is a distributor and not the manufacturer (correct me if I’m wrong), but the fact Luke is looking at this site bodes well. Thanks! Yes, Bullet Central is the distributor. I think the trigger company is overseas (maybe in Europe). Thanks for sharing that stuff. Very interesting. I think that’s for the single stage bix, but i could be wrong.